Below is each draw, which includes the 2016 Champion and Runner up, along with the league each team plays in. Best of luck to all teams in 2017! Here are some short previews on each team entering the 2017 Lakeside Tournament.. Tecumseh Thunder are the defending Champs. The Leafs have added some Jr graduates this season, including Noah Koffman who has been solid thus far. 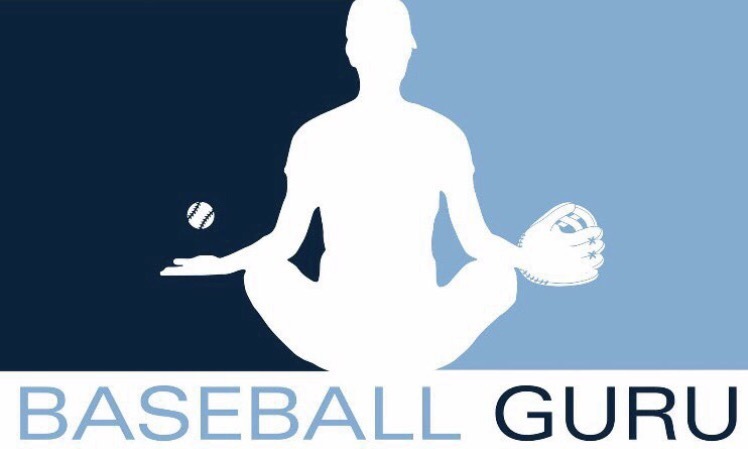 They are floating around .500 in the GTBL this season, and like most teams, pitching will be the story of their weekend. They do have a favourable draw to start the tournament, with two games they should probably win. The Red Sox sit atop the GTBL standings at 10-5, and can feature a deep offensive lineup. Word is they may be a bit shorthanded this weekend, especially in the outfield. We should see them play some close games this weekend. The Lizards are 0-10 in Southwestern League play this season, the pitching and offensive depth just isn’t there anymore. They will have their hands full with Milton, Leaside, and Erindale. The 9-7 Red Sox currently find themselves in 1st place of the Johnson Division in COBA. They had a pretty rough start to the season losing their first three games pretty handily but have been able to right the ship over the past few weeks. They have had the odd blip on the radar but have now been settling into more of a consistent style of play. The offense is lead by Matt Lahn and Kevin Greer, and will look to Ian Zettle as their go to guy on the mound. The Erindale Cardinals have made some big strides since last season, and have come out hot this season winning their first five games in a row and five of their last nine contests. They carry a very solid 11-5 record into this tournament, and are always a threat to get into Sunday with an offense lead by Chris Novia who’s hitting over .400 with great power numbers as usual. The Vikings are a strong AA Club who are capable of competing at Elims, and have started 11-1-1 in the OSBA this season. They beat Martingrove in game 1 of their tournament earlier in June before being rained out for the weekend. Leaside, Milton and Erindale isn’t the easiest of draws, but one they may be able to navigate to be in the mix for a Sunday spot. Niagara is currently 7-10 in COBA this season, the Senior Elims semi-finalist from last season has had some ups and downs so far this year and have struggled to be the consistent force they are used to being overall. With a solid trio of starting arms in Ayles, Perego, and Strong and a still solid line-up, they can still break out if given the opportunity to do so, especially if veterans Grant, Ferri, and Davidson get hot. The 2016 National Finalists brought just about everyone back from last seasons club, and have added more arms to an already deep pitching staff. Having the Royals join the Lakeside tournament makes an already deep tournament even stronger, and they now face Mississauga for the first time since their walk off win over the Twins in the final 4 at Eliminations last season. Jordan Townshend, Mitch Lumley, and Leo Labine will likely go in the first three games, who will all need to be sharp as the Red Army likely have the toughest draw in the tournament. New additions in the starting lineup include Andrew Warner and Brad Hill (moved back to London after a few seasons with Oakville). Hayden Woodley, Brandon Banaschewski, and Rob Wakefield all remain and anchor the middle of the lineup. The Thunder are 16-8 in Can Am League play this season, but as always with the contenders, tournaments are the gauge. Tecumseh enters the Lakeside tournament as defending champs, as their starting pitching tore through this tournament last season. Paul Lamantia and Ryan LaPensee are now gone from the middle of their lineup, but as always they fill any gaps with talented players. Martingrove has improved on paper this year, and are playing more close games against some strong GTBL clubs. Unfortunately their draw didn’t do them any favours, as they get the final three teams from last years Eliminations in Tecumseh, Strathroy, and Niagara. Rookie Matt Peluso is leading the GTBL in Home Runs, but it’s hard to see the White Sox scratching out a W this weekend with the schedule they have. The Bulldogs might be travelling light this weekend, especially in the pitching department. With that being said, EY should still have Gallo going on Friday night and have found themselves in a favourable group. They should be 1 of 2 teams to emerge from the “Red” group if they can get past St Thomas Jr on Friday night. The Orioles won the 2016 Essex County League, and are 11-1 in League play this season. They competed at B OBAs last season, but could be in tough as they don’t see the level of competition that the rest of this field does. The Tomcats put out a 21U Roster every season that can compete with most Senior teams in the province, this year is no different. First year Junior aged arms Michael Mommersteeg, Travis Keys, and Alex Lamont can all win games for the Tomcats. They have been deep into Sunday at this tournament before, but must somehow get past East York and Sarnia first. The Braves are on fire this season, they have started 14-0 in Southwestern League play with 4 of those wins coming against Ilderton and Strathroy. They avoid East York within their pool, and if they take care of business can grab a bye into the Semi’s. Last years addition of Julian Service has really solidified their lineup, but it will be their rotation of Shephard, Baljeu, Damchuk, and Babula that will make or break their weekend. 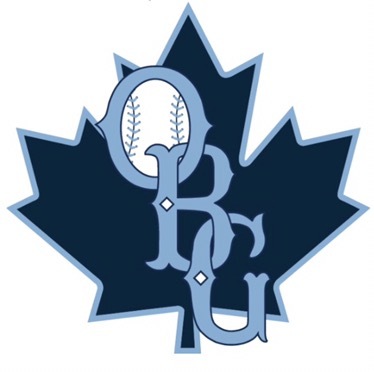 Oakville has been struggling a bit this season, as they have lost a big part of their roster in 2017 and have a 2-14-1 record in a tough COBA Major Sr League. The A’s are lead by Thomas Biskup and Julian Richards offensively, and are certainly capable of stealing a few wins and getting themselves into Sunday. ​The three-time reigning champs are back at it again this year as they began their season and their winning games in every way possible. They are winning the close games, they are winning the blowouts. Their excellent offensive attack this season can be credited for constantly producing enough to win, as the Baycats pitching staff has had an up and down season up to this point. Claudio Custudio has been the lone qualified pitcher to out-perform expectations for the Baycats this season, as a majority of their big names have struggled (by their standards) to this point. The Baycats hold the highest team batting average in the IBL at .335, to go along with 13 team home runs and 107 runs scored vs. 57 (49 earned) against. 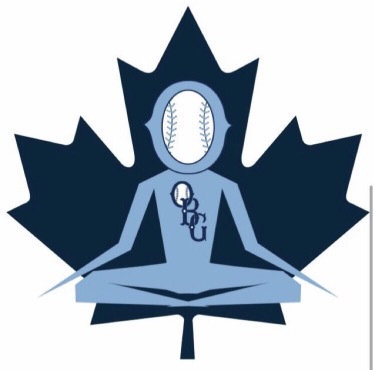 Although they have not faced the London Majors to this point due to a couple of rainouts, they boast at least 1 win against every other team in the league already, proving their utter dominance in the first quarter of the season. After a decade of fielding outstanding teams on an annual basis, early results this season suggest that the Red Sox have finally taken a step back in the IBL. The two wins they have accumulated up to this point have come against fellow strugglers in the Guelph Royals and Burlington Herd (formerly Burlington Bandits). However, this record may be misleading as the Red Sox currently boast a 2-6 record in games decided by 2 runs or less. Through this stretch, the pitching and hitting units have each seen some good individual performances. However, neither unit has been able to provide that extra amount of grit required to come out as winners in such close games. Look for Brantford to begin coming out on top in some of these games as they begin their climb to .500 in the 2nd quarter of the season. ​After beginning the season 0-7, the Herd have finally appeared to have found some momentum rattling off 3 wins (their first 3 of the season) from June 8th-10th, before ultimately falling to Barrie on June 11th. The Herd have had some excellent pitching performances, as well as some that were quite the opposite. Rich Corrente has been an excellent addition to the Herd, as he currently boasts a 1.12 ERA in 24 innings pitched. Christian Hauck (2.61) and Adam Prashad (2.89) also boast ERAs under 3.00 to provide a decent trio of pitchers to work with on any given night (although Corrente and Prashad have been starting for the most part). The offence has been led by Justin Gideon who is having his finest IBL season yet, boasting a .444 average with 7 doubles in 45 at bats. Canice Ejoh has also been a key contributor on the offensive end as he holds a .342 average and 8 RBIs in 38 at bats. Moving forward it will be interesting to see if Burlington trends towards the team that began the season 0-7, or the team that is 3-1 in their last 4. ​Another tough start for the Royals this season as they have already come out on the losing end of some tough scores. Although their offence has scored 28 runs in their last 4 games, they did not manage to win a single one of these games, as their pitchers once again have not managed to provide what is needed for the Royals to string some wins together. The team features 7 pitchers with ERAs over 10.00, making it difficult to come out on top, even though their offence has been putting up more than enough runs as of late. Moving forward, look for the Royals to experience similar results, unless their pitchers begin to turn it around and get key outs when needed. ​After only playing their 2nd game of the season on May 31st due to 5 rainouts in their first 6 scheduled games, the Hamilton Cardinals have struggled out of the gate this season. Collecting only 1 win, coming in the second half of a double header against the Royals, the Cardinals struggled to the tune of a .207 team batting average and an 8.70 team ERA. The Cardinals latest loss came at the hands of the London Majors by a score of 8-7, but besides this game, and a 4-3 loss to the Royals, they have played in very few close games this season. Moving forward look for more of the same from the Cardinals as both the offence and pitching staff are not producing enough to keep them in games. ​A well-balanced Kitchener Panthers team has jumped out to a 9-2 record this year, with both of their early losses coming at the hands of the Barrie Baycats. Boasting a .322 team batting average as well as a 3.55 team ERA, the Panthers are likely the most balanced team in the IBL this season. Some gaudy offensive numbers have already been put up by the Panthers this year, as Yorbis Borroto is hitting .500, and all-time IBL hits leader Sean Reilly has 8 home runs and 22 RBIs already. On the pitching side, Matt McGovern sports a 1.63 ERA with Mike Schnurr not far behind him at 2.02. Look for the Panthers to continue thrashing teams this season as they come at you with a good attack on both sides of the ball. ​Pitching is the name of the game for the London Majors, as they currently boast a 2.72 team ERA through 10 games this season. Led by Murilo Gouvea at 0.81, Luis Sanchez at 2.62, and an excellent bullpen, the Majors come at you with series of strong arms every night. Offensively, the Majors have been led by Byron Reichstein with a .375 average and 16 RBIs in just 10 games played. It is important to recognize that the Majors have yet to play either the Baycats or the Panthers, so look out for these matchups to establish exactly who the powerhouse of the IBL this season will be. ​The Toronto Maple Leafs have managed to play above .500 ball in the first quarter of the season, thanks in large parge to a decently balanced attack with no glaring weakness, but no outstanding strength either. Offensively they have been led by Ryan White (.355) Jonathan Solazzo (.308), Tyler Hardie (3 home runs, 12 RBIs), and Justin Marra (3 home runs, 12 RBIs). On the pitching end, they have been led by Justin Cicatello who boasts a miniscule 1.39 ERA in 32.1 innings pitched this season. Moving forward, look for this well balanced team to continue around a .500 record, as they have the roster to beat all the bottom-feeders on a regular basis, but perhaps lack the star power to take down the powerhouses. ​Although the Intercounty Baseball League lacks parity, it certainly does not lack excitement. The outstanding quantity of outstanding home grown hitters matched up against the large amount of import pitchers around the league sets the stage for exciting games night-in and night-out. For those that do not frequent IBL games, this league is highly recommended summer entertainment for a very affordable price. 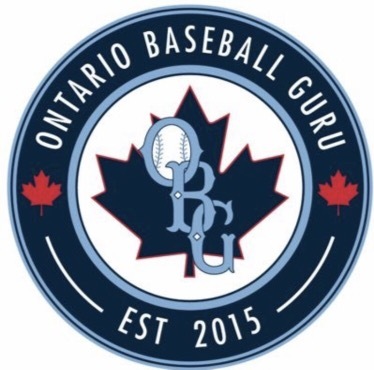 The quality of baseball on display in this league is quite simply among the highest you can find in Ontario outside of the Toronto Blue Jays. The first quarter of the season has proven to be as exciting as any other, and the quality of games is only going to go up as teams begin to come into their own as we approach the mid-season point. It seems every season the OUA loses a lot of gifted players due to graduation. 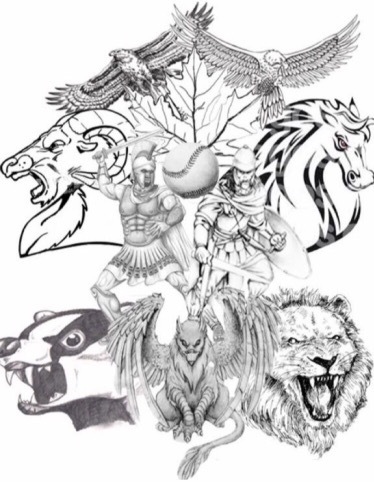 The hope in the future is that these great OUA programs and recruit great high school talent to replace the graduates and build for a bright future. Here are early rumblings of players finishing school and also those who will be entering this fall. This article is sponsored by SX3 Sports. 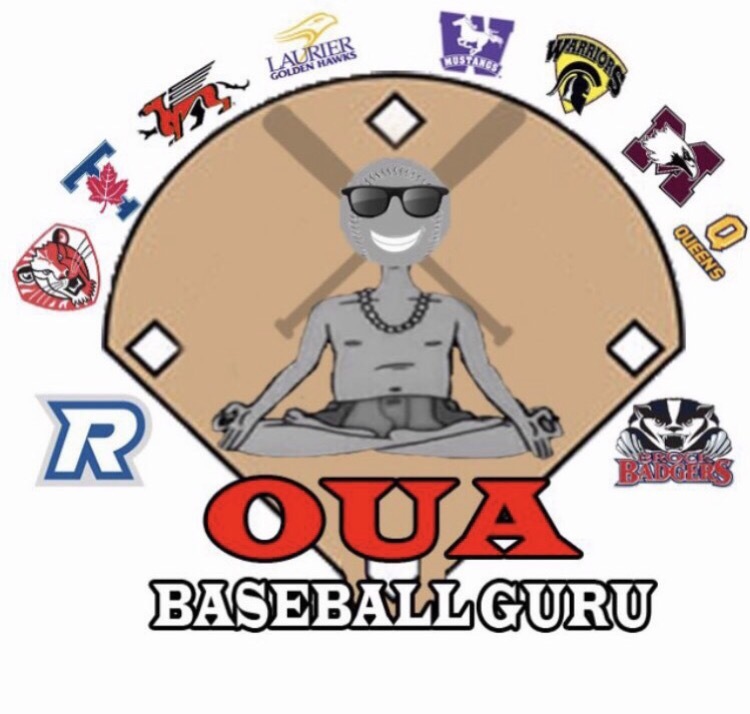 This is the early edition of the OUA positional power rankings. Please correct me if someone on the list is graduating or if I left off an obvious member as I thought they were graduating. Here is the list sponsored by Stinger Bat Co.
NCBL [National Capital Baseball League]The 2017 NCBL season finally started on May 16th after the Ottawa area experienced flooding, effectively cancelling all pre-season games and most practices. Even after the city opened the fields, we had a couple cancelations due to malfunctioning lights on Opening Day. Throw in some more rain late in the week and the long weekend and we are left with 11/37 teams still yet to start their season. 26 teams were able to shake off the rust and get some action in. Jeff Skelhorne-Gross (Kingston Ponies) > On May 17th, Jeff led the Ponies to an opening day 7-7 tie by going 3 for 4, with 3 runs, an RBI, a double, triple and 2 stolen bases. Only 3 games were played in week 1, with the premier mathchup being the Kingston Ponies (4 straight pennants) locking up in a back and forth game with the Nepean Brewers (2 straight playoff championships) Neither team really deserved to win, and a 7-7 tie was most appropriate on this night. Meanwhile, the Metcalfe Mudd made their return to Tier 1 losing a close one to the Kanata Athletics, and then the Brewers beat the A’s later in the week to round out the action. Hugues Petrin (Cardinals) > On May 18th, Hugues went 2 for 4, with 2 RBI, a triple and a run scored. Only 1 game was played in week 1 with the Cardinals beating the Outlaws 7-2. Frank Sabourin (Red Sox) > On May 17th, Frank went 2 for 4, with 3 RBI, a home run, and 2 runs. There were 5 games played, with 10/11 teams each playing once, with the defending pennant winners the only team not to play yet. Defending playoff champs, the Sharks, walked off the Lumberjacks, The Rockets barely squeezed by the Orioles (returning after a year hiatus), the Black Sox and Dukes each winning close ones and the Red Sox with the only blow out. ➢ Jon Bowes (Red Sox) – 4.66 IP, 4 hits, 1 ER and 11 K’s, win. ➢ Dave Rivers (Dukes) – 1 for 2, run, RBI, walk plus 3.66IP, 3 hits, 5 K’s, save. Chris Embury (Heat) > On May 19th, in the franchises first ever game, Chris went 3 for 5 with 4 RBI, a double, a triple, and SB along with a run scored. In the 6 games that got played, 5 were blowouts! The only close one being Team Cuba opening their season with a 4-2 win over the Braumeisters. The Vampiros, Lynx, Bandits, Cuba and the new Winchester Heat all found themselves on the right end of blowouts. While the Heat enjoyed success in their first ever game, the other expansion team, The Naturals, fell 12-2 and 15-5 in their first 2 games.